JACKSON HEIGHTS, Queens (WABC) -- A man faces hate crime charges after being accused of attacking two transgender women in Queens. 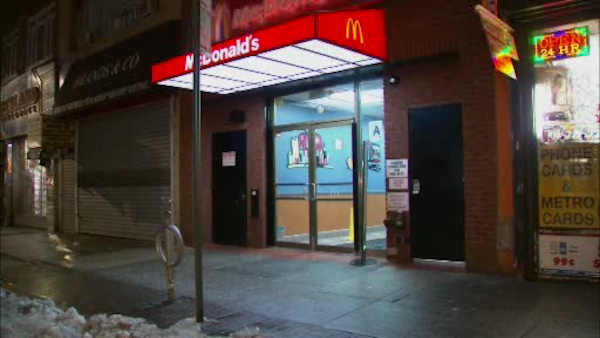 Police say 38-year-old Patrick O'Meara got into an argument with the two women outside a McDonald's in Jackson Heights on Friday. Police say he hit one of them with a cane and punched the other while yelling anti-gay slurs. One victim was taken to the hospital where doctors treated and released her. Court records show O'Meara was being held on $5,000 bond after being arraigned Saturday on hate-crime assault and other charges.